Here we are providing some knowledge about how to join Pakistan Air Force after Matric, Inter, Graduation, Master 2019. Pakistan Air Force (PAF) has come into existence with the inauguration of Pakistan on 14th August 1947. Its very great career jobs for all male and female candidates who are interested in the Pakistan Air Force (PAF). Pakistan Air Force not only job but basically all the servants has been sacrifices their life for the nation and families. Many of the interested candidates want to become the part of Pakistan Air Force but don’t how know about applying way or career opportunity. Now we will be share some information about applying method and getting registration through the PAF office or online system. All male and female candidates can apply according to their qualification in the various departments because a large number of departments which has been grow personally with a sense of achievement. Mostly candidates want to become aircraft or pilot after completion their study but other than many of various other compartment are assigned for other different other positions. If you want to fly in the haven and get perfection so then you must be join the Pakistan Air Force (PAF). In this defence force females are polished their skills and make bright future after take interest in the Pakistan Air Force (PAF). When getting complete success in the all interviews and medicals tests etc so then they are prepared for training and these all staff given training in the PAF academies where they are getting training regarding the PAF environment such as physically, morally and educationally. Candidate must be Male and Citizens of Pakistan. Three years training at Pakistan Air Force (PAF) Academy, Risalpur as an Aviation Cadet. Unmarried status is applicable for matric and inter candidates and for graduation courses Married or Unmarried both status are eligible. FSc Course: Intermediate (FA, FSC, ICS and ICOM) (Pre-Medical /Pre-Engg /Computer Sciences) 50% marks in aggregate. Twice rejected by Inter Services Selection Board (ISSB) /General Head Quarters (GHQ) Selection Board. Twice screened out by ISSB/GHQ Selection Board. Once rejected by ISSB and once rejected by GHQ Selection Board (ISSB) and GHQ Selection Board will be considered at par for eligibility purpose. Absent from any service Selection Board will be treated as rejected. Permanently declared unfit by Armed Forces Appeal Medical Board (AFAMB) for commissioning in PAF/Army/Navy (Candidates declared unfit by Central Medical Board (CMB)/Combined Military Hospital (CMH) will remain ineligible until they are declared fit by AFAMB. If withdrawn/rejected from any service training institution for the reason of maladjustment/disciplinary ground/medical unfitness/resignation/purchase of release/character qualities. However, candidates withdrawn due to poor performance in academic or lack of flying aptitude are eligible to apply for Branch other than one they were withdrawn from. If convicted by a court of law for any offense. If they have concealed any information or have provided incorrect information at the time of filling in their application forms. Intelligence tests/Academic tests in Physics & English of F.Sc level. Interview and Preliminary Medical examination at PAF Information and Selection centres. Tests by ISSB and medical examination by Central Medical Board PAF Masroor Karachi followed by Flying Aptitude Test. First of all Academic test in physics and English of F.Sc level in the selection center. After interview there is a preliminary Medical test at PAF Information and Selection centers. Tests by ISSB and medical examination by centra; medical board PAF Masroor Karachi which is followed by Flying Aptitude Test. After that final selection in order of merit by PAF headwaters. After completion the matric or 10th class all the interested candidates can apply for various posts such as Aero Traders, Musician and Sports Man which has been offered by the Pakistan Air Force (PAF). All male and female candidates after Matric, Intermediate, Graduation and Master programs can apply for various positions like that Aero Technician, Aero Support, PF & DI, Sportsman, Musician, Educator Instructor and Religious Teacher. Eligibility Criteria according to nationality, age limit, marital status, qualification, and selection procedure about join Pakistan Air Force (PAF) complete details mention on this page. Sir plz tell. registration ka kia process hy? I’m a 2nd year student. I have cleared my part 1 exam with good marks but now i’m a second year student can i apply for 86 aeronautical engineering course ? aoa…plz tell me about gdp test for girls? ?how can girls apply for gdp??? ma na civil ma LDC ka test dia h us ki list kd lhy ge?? date?? ma na civil ma LDC ka test dia h us ki list kd lhy ge?? I am doing my ICS part 1 , can i join PAF by doing ICS or i have to do FSC ? Please be careful , when u join PAF as SSC/SPSSC officer. People come and join PAF with excellent degrees and qualifications. Initially they are unaware of SSC/SPSSC commission types. They dont know that these types of commissions are for 5 and maximum upto 10 years. This hangs their future with no service growth and get retired/stopped at any time PAF want them to. You would get minimum rank of Pilot Officer/2nd lieut after getting training of 6 months at PAF. When you join SSC/SPSSC course, as per policy, you would not be able to extend you education, no service courses, and hanging extension after 5 years of service. There is no service structure for SSC/SPSSC officers in PAF. You can get promotion only Min Sqn Ldr and maximum upto Wg Cdr. That means you would get inducted in BPS 17 (Contract basis) and get retired in BPS (18 – contract). You would go through minimum service courses. You would be hanging in between, wheather you would get further extension or not. Sir I have passed ICS. I got 54 percent marks. I want to join PAF as PILOT OFFICER so plzzzz give me a guid line. AoA. My name is asif nawaz. sir i am maried. And doing disaster-managment (BS-honour) 4th semester. how can i get in PAF by migration.? . will you please send us the info about the tests in PAF? aoa sir..plzzz tell me k fsc k baad girls air force kis kis feild mai apply kr skti hain in officer grade?? ?aeronotical engineering k liye girls apply kr skti hai?? ?i m doing fsc pre medical…part 1 with 79%…..part 2 k paprs de rhi hun..aur meri height 155 cm hai….i was told that i m not eligible for GDP bcz of my height..is it true?? ?and 155 cm ki height k sath kya mai aeronotical eng k liye apply kr skti hun with ADD MATHS nxt yr???? SIR I M AAMIR MUNIR I M IN CLASS FSC CAN I JOIN AIR FORCE AND I M CMP STDNT WHAT % RQRD FOR PILOT OFCR ..
no it is not correct medical students can also apply as a commission officer , fsc pre engineering is necessary only for those who want to join paf ad a engineer . I wnt to knw k defnc offcrz or administratv branch mai vacancies kb aati hain?? Or kya hr saal aati hain? more than 60% marks in fsc, age limit 16-22 years, height about 163 cm, & do not twice rejected by ISSB. Ok thank you very much for yor replies..
N i hv heard dat onli dat students can apply for commission officer who hv done their fsc only in pre engnerng subjects…is it correct or not?? approximately 163cm as GD poilet for both male & females, bt a small change ho skti he if u join a course other than GD poilet. Ok thnxx i wnt to knw dat wht is the criteria for joining it? ?n what is the height for grlz? yes,u can join paf if u got more than 60% marks in fsc. Ok thnxx…wht is the criteria for joining PAF? N wht is the height for grlz? Can i join airforce aftr fsc? behn oper farsi main likha hai? sir I want to join paf as GDP,paf is my passion, I got more than 60% marks in fsc pre medical, sir plz tell me how I can join paf & wht is the procedure? i’ll b very thankful to you. sir send me some more details, plz plz plz…………. I am fatima i want to join pak air force in any feild i have done FSC , PLZ tell me what should i do for join this. My name is Naveen. i want to become a pilot. i have done my matric with 82% nd got 58% marks in inter. i want to join . plz tell me the whole procedure. on my email. "Ma SANA MUNAWAR PAF join karna cahti ho .Ma matric ki student ho . Salamzz… Sir i want to do job in paf. So how can i apply for c.g. I have completed f.sc recently. This is farzana iqbal .i am doing ics from lahore college for women university lahore.i want to become a pilot .it's aim of my life.i want to spend my life for my country.i have got 80% marks in matric. i have done FSC with 6o% and now i m doing CA and b.com as well…..i want to join PAF commision…..kindly inform me about whole procedure……..
Im doing BSIT ,,,my current semster is 7th…. plz tell me on which sub i focus,,,and wat process too apply for it??? Im doing BSIT ,,,my current semester is 7th…my cgpa is 2.9.. 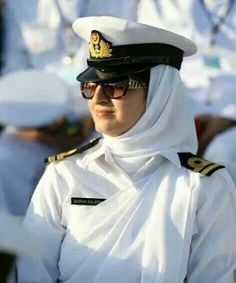 I want to join PAF IT BRANCH …so plzz guide me..
Salam.. sir I'm Zainab, I want to join pakistan air force as a gdp pilot, I have done fsc in pre-medical so plzz could you tell me? the whole procedure as soon as possible..but remember I have completed my f.s.c in pre-medical field not pre-engeeniering So can u tell me … Can i apply as a gdp pilot in paf? sir i got 68% marks in matric and 53% marks in ics i join pak air forse tell me tha procedure plz…………..
sir i passed matric in 70% numbers. now i am in ics part one can i join paf?please tell me soon sir. My name is Fiza . I am 16 year's old. I am in class FSC in Ghazali Vision College . I live in Kot Ghulam Muhammad. It's my aim that I want to become a pilot. I got 85% in class ninth and 85% in class matric. Inshallah I will become a pilot and do best for my country PAKISTAN. Yes Insha ALLAH U would be. Dear sir! I have obtained 79%marks in 9th class and i wants to join pak airforce after getting about 70%marks in matric exam so please sir give me idea about books for entry test t and i have desire to become general duty pilot Thanks at all. Hi Sir, This is Sahar jabeen from sargodha. I want to join PAF, I am doin Fsc(Pre Engineering). I passed my matriculation with 72% and eager to join PAF. Would you like to tell me that can i join PAF ?? If i can than what's the procedure. sir my name is shafiq my edu fsc i wish air force duty give me? I want to join Pak Air Force. I got 75% marks in matric exams. Now i,m in FSc 2nd year. And InShAllah i shall get 75 to 80 % marks in FSc Engineering. Please tell me that how can i join PAK AIR FORCE. sir i had 90% marks in matric and hope so will get 85% marks in fsc examz i had recently given examz ………… how can i get admission for bsc in PAF???? Sir, i wanna be pilot after F.Sc please tell me the whole proceedure. E/458 Shah Alam Dena Nath Building Chowk lahore. Looking for a challenging position in with a reputed and established organization, where I could be able to utilize my professional abilities to achieve the desired goal. Govt. Forman Girls High school, Lahore. Govt. College of Technology, Lahore. MCITP, GOVT. COLLEGE OF TECHNOLOGY Lahore. •	Support Technician on Windows Vista. (Basic Computer Infra Structure), ICIT VISION COLLEGE Lahore. Aoa Sir. I am a student of FSC in GCU Lahore. I am very keen to join PAF as a pilot officer. But the thing due to which I am in a bit confusion is that can I apply for a pilat officer after doing Aeronautical Engineering. Because once I heard that one can only apply for pilot officer after FSC exams but if he will apply after graduation he will not be taken as pilot. Is that true. Waiting for your reply eagerly. im an oversea Pakistani and doing my A levels, need guide for how to apply to paf. thank-you. SIR I GOT 65% marks in B.com and i want to to join airforce as pilot please guide me either i can join or not. ASLAM_O_ALIKUM, sir i want to join PAF , 70 % marks in matric examinatin, 55% in FSC pre medical, my hight is 175, AGE is18, WEIGHT IS 60 KG , Iam aloso from mirpur azad kashmir, CAN I APPLY IN PAF. tell me i will be wait for your reply. please ans me quick,and how can i apply tell me……….HOPE my E.mail id is:[email protected] My cell number is: 03435540904 and 03045200552 please tell me quick. ASLAM_O_ALIKUM, sir i want to join PAF ,and i got 70 % marks in matric examinatin.AND 55% in FSC pre medical.my hight is 175,and AGE is 18. CAN I APPLY IN PAF. tell me i will be wait for your reply. yes u can ur hght iz ok bt in fsc ur marks mst b 60 to 65% i thnk so……..
yar koi bata sakta hai musician branch ki duty kya hoti or pay kya hai? am a student of fsc and i want to join air force as a pilot …plzz reply me how to i apply in PAF..
sir i want to join paf. i have been b.com with 2nd division. so how i can apply? my date of birth is 11 august, 1988.
inform me about latest jobs in air firce. sir i want to join paf . i completed ics in second division so how i can apply? ma air force join karna chah rae hon… plzzzz tell me date of entry test ??? I done DAE Electronics and get 72% marks can I able to apply for Poilt officer?? This is my third message? Plesae tell me how to join PAF(pilot officer) after fsc…………….. I want to join Pakistan air force. now I am in class F.Sc part 2nd. plz help me…………..
i have done my fcs part 2 in computer science can i apply and how plzzzzz rply..
i realy want to join air force as (gd)pilot. i have don graduation with a combination of (physics,chemistry,math) may i join you. I really want to join Pakistan air force as a pilot officer after F.Sc for the bright future of Pakistan and me.Now I am study in 2nd year.please guide me as your younger brother,how can I achieve my ambition. I study in class 10th please tell me now i can join as pilot officer. SiR,I want to Join PAK AIR FORCE as GdP But Now I,m in Fsc Pre-Medical Ist part so I join After fsc or is there any other procedure by wich I join PAF during FSC? Sir want join PAF.and i m have fsc pre medical so can i join PAF? sir plz mjy join pak air force ka link snd kr dain!!!!!!!!!!!! i am uman nd i am in F.S.C PART 2 !!!!!!!!!!! Plz tell me how can i join Pakistan airforce after ICS (maths , physics , computer)?? im waiting for your reply..!!!! !